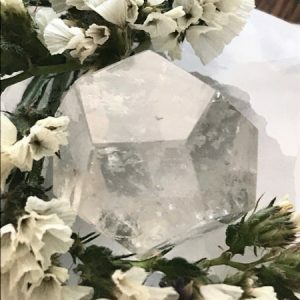 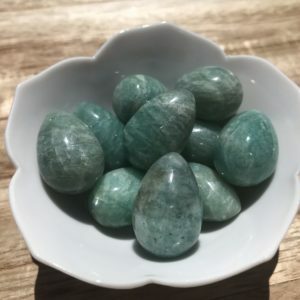 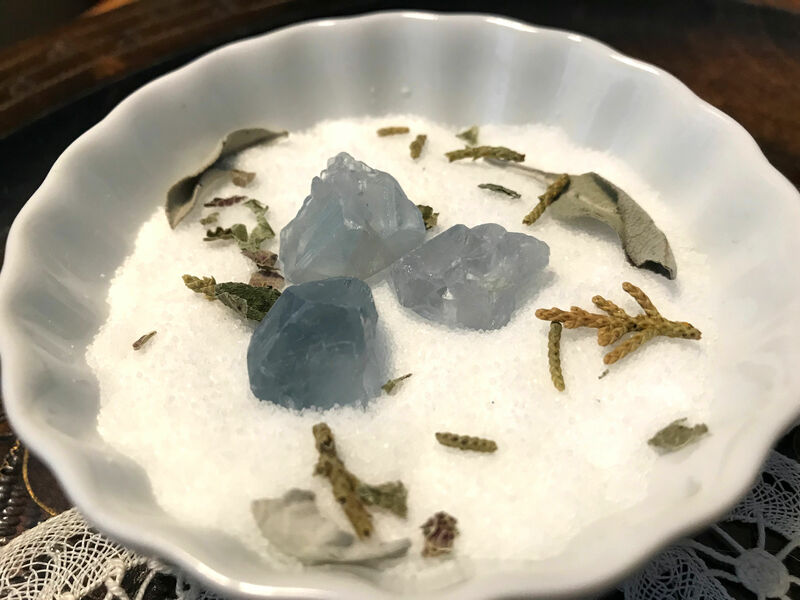 Celestite is one of the premier crystals to work with when you need angelic guidance, heavenly protection, or connection with divine beings. 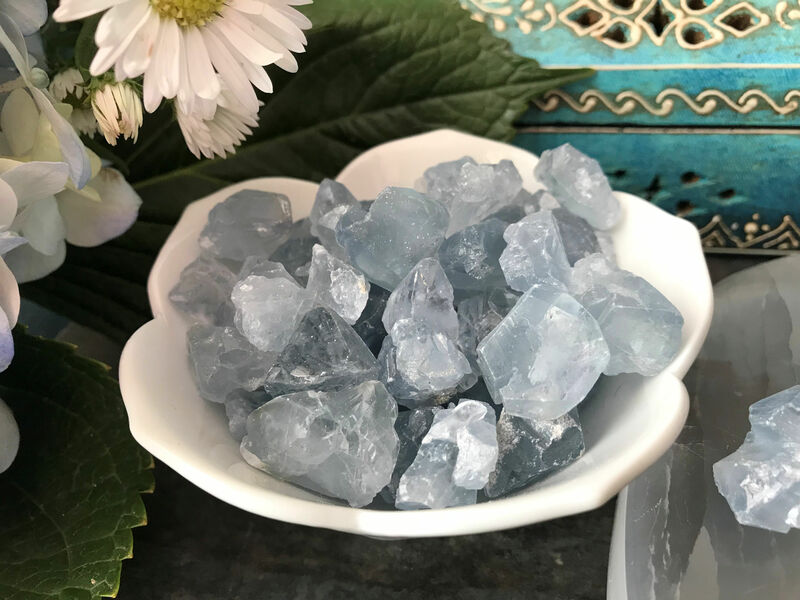 We usually see Celestite in open geode form and sometimes in tumbled form, but getting individual crystals like this is such a rare treat for me. 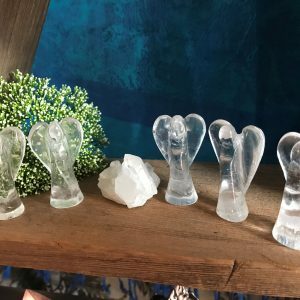 While they are lower on the MOHS (making them fragile) they certainly don’t lack in lending their powerful vibe to your meditative practice. 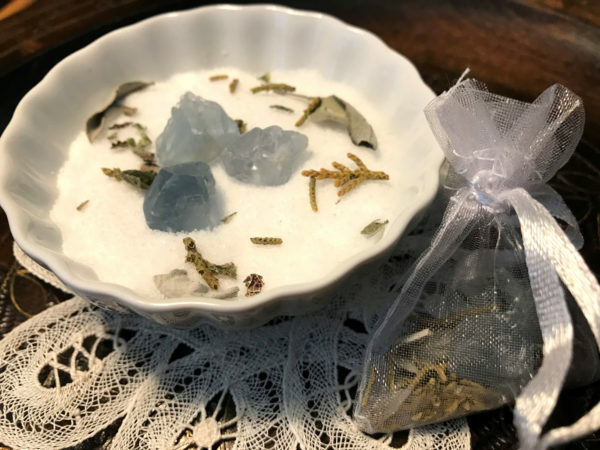 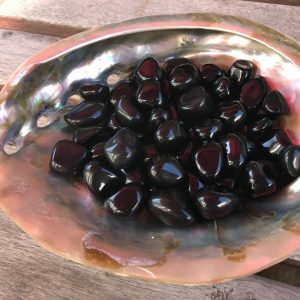 These crystals can be worked with in making fine jewelry, using in crystal grids, or placing on your altar to summon angelic assistance. 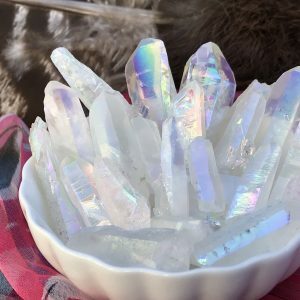 These pastel crystals are so dreamy! 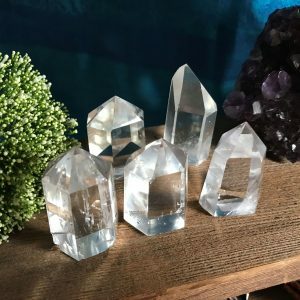 They vibrate at a frequency that can heighten your intuition. 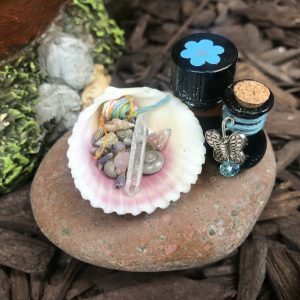 They can be wire wrapped and worn on a necklace, but use caution when caring for your crystal baby. 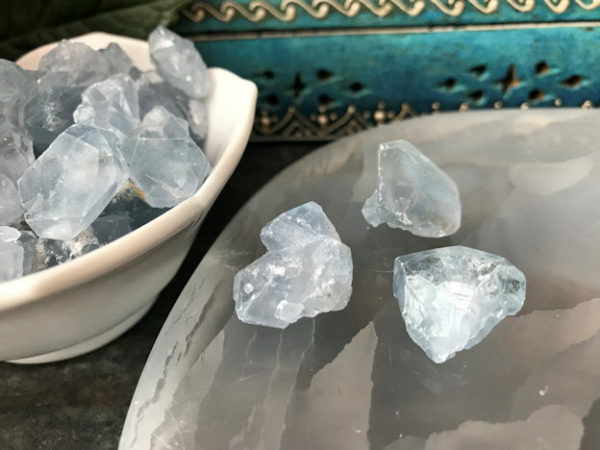 Reach for Celestite when you need some quiet time away from this chaotic world and tune into your higher guides for comfort and assistance. 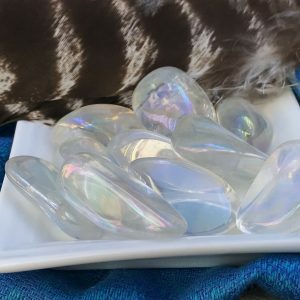 You can place one on your forehead when lying down and cleanse your third eye to allow for clarity and an open mind. 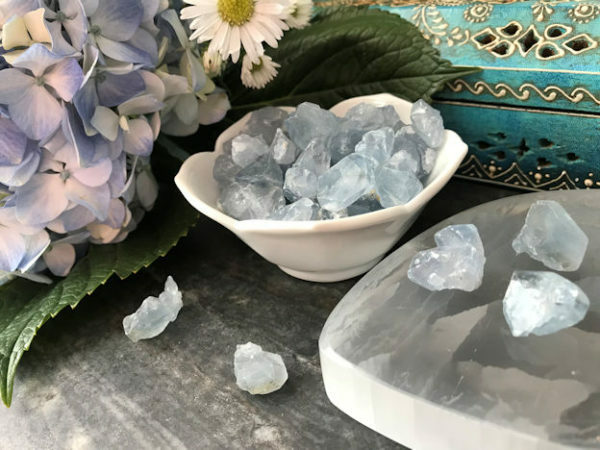 When working with clients in crystal healing, place one on the inside of each wrist to support energetic cleansing of their aura’s circulatory field. 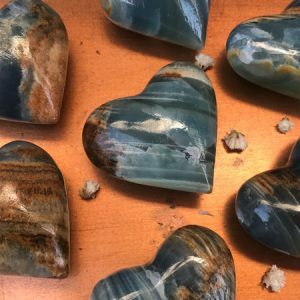 Works harmoniously with quartz angels, angel aura quartz, and blue calcite. 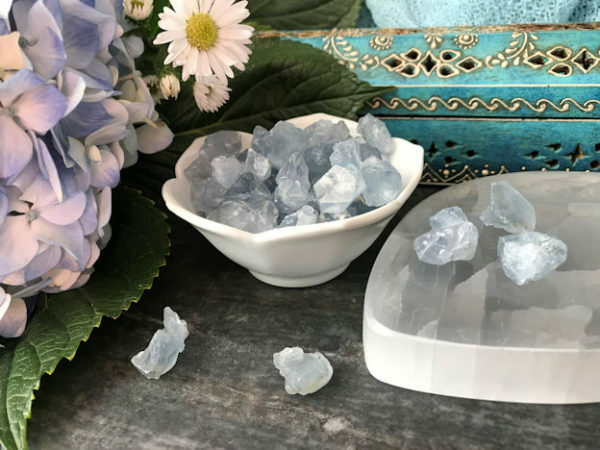 This listing is for 1 Celestite crystal.